This question often comes up on training and luckily there is an easy answer! All schools use systems for grading books according to text difficulty, but not all schools use the same levelling system. For example, some schools use Reading Ages to determine text difficulty, others use Accelerated Reader or Book Bands. So it’s important to know how the Catch Up® Literacy levels correlate to the system your school uses. The books in the Catch Up® online booklist are graded into 12 levels of reading difficulty. The Catch Up® online booklist also gives the all-important guidance on the ‘interest level’ of a book. So one text graded at Catch Up® Literacy level 6 might be suitable content for Years 2-4, but another Catch Up® Literacy level 6 text might have unsuitable content for Years 2-4 but be ideal for Years 7-8. 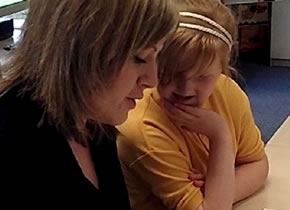 Book Bands for Guided Reading (produced by the UK Reading Recovery National Network for the Institute of Education) uses criteria for grading books very similar to that used by Catch Up®. Book Bands levels books according to colours from Pink to Lime. Publishers have been very keen to extend the colour grading of books into Key Stage 2 and many schools follow the Pearson Bug Club colour grading above Lime (Brown, Grey, Blue, Red). Book Bands does not suggest an ‘interest level’ of a book because it is not designed to be used with struggling readers. Accelerated Reader (AR) from the USA uses a statistical formula called ATOS to determine the difficulty of a text. It factors in all the criteria used by Catch Up and Book Bands to determine the text difficulty, but the levelling is also based on a graded vocabulary list in which each word is allocated to a school grade. So, for example, the word ‘hear’ is assigned to Grade 1 (equivalent to Year 2 in the UK) but the word ‘hearings’ is assigned to Grade 6 (Year 7). An AR book level of 4.5 means that the text could be read by a pupil whose reading skills are at the level of a typical Grade 4 (i.e. Year 5) pupil. There is no official chart equating Book Band levels with Accelerated Reader levels or Catch Up® Literacy levels. However, there is a chart comparing Accelerated Reader with Reading Recovery Book levels and there are guidelines for comparing Reading Recovery levels with Book Band levels, so it is possible to get a good idea of equivalence between the different levelling systems. This chart should help schools see how the Catch Up® Literacy levels tie in with other systems of book levelling. The link to a Reading Age is only approximate but may be helpful. Please remember that this chart can only provide approximate equivalences. Book levelling is essentially an art, not a science (despite the statistical calculations in ATOS). We’ve all come across the child who can read ‘Tyrannosaurus’ (because they’re interested in dinosaurs) but who struggles to read words like ‘almost’ or ‘misled’. Catch Up® works hard with publishers prior to book publication to agree levels for many of their High Interest/Low Reading Age books so that schools can be confident in the Catch Up® levelling. Remember, in your Catch Up® Literacy file (on page 71) there is a chart showing comparisons between Reading Ages and Catch Up® levels. There is a blank column where you could enter your own school’s system (AR or Book Bands) for easy reference.